I love this story. I actually read this book a few months ago, but couldn't put it down, it will keep you guessing to the very end. I love the characters in this family. The author really knows how to bring her characters to life. Even those in your dreams. I recommend this book to everyone. Enjoy and Happy reading. 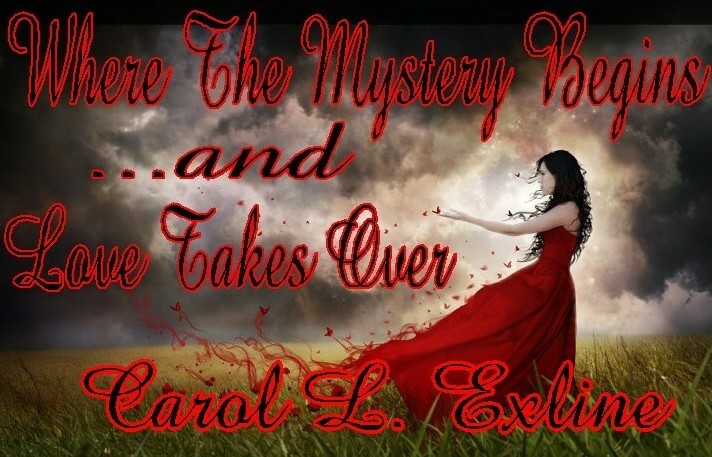 The mystery continues, Carol Exline has done it again! She takes you deeper into the Grandville life, but poor Cassie will she ever catch a break she soooo deserves? I recommend that you read this book and find out, it is awesome, I can't get enough of this story. If you haven't read book one, (Screams in the Dark) get it you'll want to get this too, because once you start you will not want to wait on the second one to ship. I love this family, Exline's characters are so life-like. Enjoy. Ms. Exline has written an action packed tale full of love and secrets kept because of it. The beginning of the story is outstanding because the reader is unaware that it is the recalling of a memory of Julia’s. It is an emotional roller coaster from start to finish and grabs the reader from the very first word. The author built a relationship between the readers and the characters that keeps the reader enthralled. The author skillfully told a story using powerful words that consume the reader immediately. Ms. Exline revealed the secret a little bit at a time keeping the audience interested until the very end. 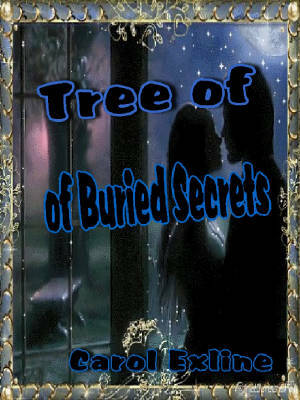 The Tree of Buried Secrets is an outstanding and enthralling read written by an obvious master of words. Ms. Exline has found a touching way for this mother to reveal a deep, dark secret to her beloved son. The characters are realistic and loveable, especially Julia. Learning about her secret and why she lived with it for such a long time was so well worth the read. This story has it all- setting, likeable characters, and a plot that will intrigue readers within all genres. Ms. Exline’s tale unfolds easily and is well-paced. She writes seductive love scenes that tantalize, but she does not over use them. All in all, a strong romantic story with a hint of darker elements. 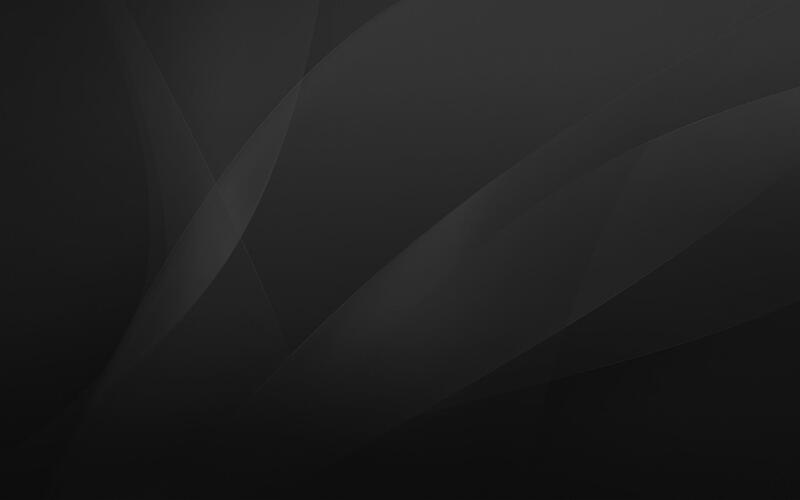 I look forward to exploring other works by Exline. Ms. Exline did an excellent job of bringing to life the sorrows and joys that Julia experienced all those years ago, and her melancholy over what really happened that night. Ms. Exline spent a little time explaining Julia’s and her husband’s families and how the family business came to be. At the time of reading, I felt that it was too much information and taking from the story a bit. 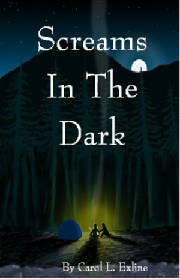 However, after finishing the book and understanding the secret that Julia had to reveal, I feel that Ms. Exline gave just enough information to help her readers understand the full story; and without that story, it would have all been a bit confusing trying to follow how that night and the following days and years progressed. 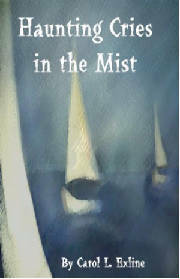 The writing and editing was clean, and I am happy that I had the opportunity to read and review this book. Tree of Buried Secrets was named Book of the Week at The Long and The Short of It.